Germany's new foreign minister has said Europe's response to US president Donald Trump's "America First" strategy should be "Europe United". Mr Maas said this means working with Washington where possible, filling voids in areas where the US is withdrawing, and pushing back where America was seen as crossing red lines. Speaking in Berlin, Mr Mass said the EU should also increasingly move toward majority and away from unanimous decision-making, which encourages foreign powers to try to split the bloc. 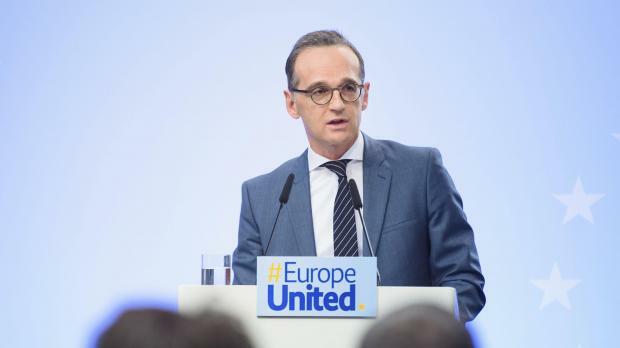 Mr Maas also called for the EU to strengthen its outreach to former Soviet republics, and said Germany and France can be the driving force in reforming Europe.